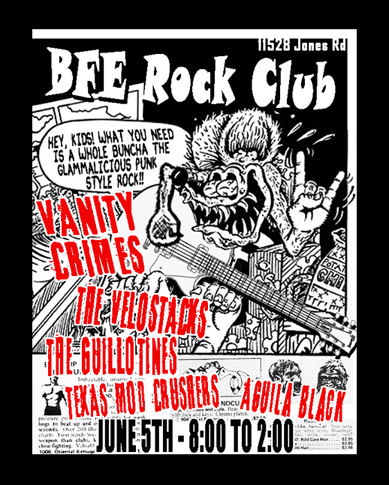 On Friday, June 5th we will be playing with a huge bunch of our friends at BFE Rock Club. BFE is a great place to play. They have a big rock ‘n’ roll stage and great sound. …and here’s a link to the FB event page!